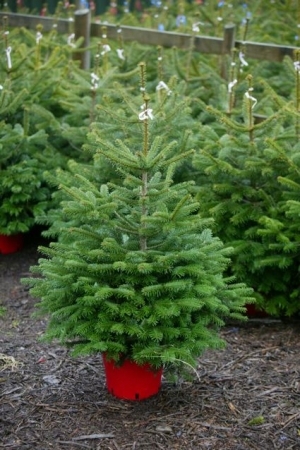 We are delighted to offer "Pot Grown" trees, in both Nordman and Norway Spruce varieties. These trees are grown in the field in their pots, to ensure a well developed and undisturbed root system. After Christmas they can then be planted out or even re-potted for next Christmas. A truly "green" purchase.